Why Do Brown Spots Appear on Carpet? The most common type of carpet stain we encounter in homes and businesses are large, brown spots. These brown stains are often in the middle of wall-to-wall carpet and are not pleasant to look at. Sometimes the stain becomes the visual focal point of the room due to its size and discoloration. You are probably curious about what causes these stains. Why do brown spots appear on carpet? We will explain what causes brown carpet spots and how to prevent them in the future. If you have a brown spot on your carpe right now, give us a call at (979) 776-9833 and we’ll remove it for you ASAP!. 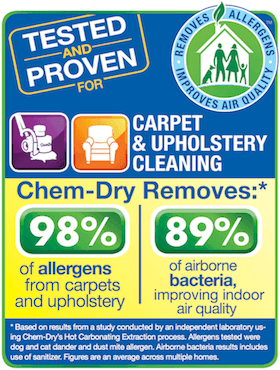 Chem-Dry of Brazos County has 30 years experience in removing brown stains from carpet. WHAT CAUSES BROWN CARPET STAINS? The cause for brown stains on carpet is moisture and most often water. The water can be clean or dirty, it isn’t relevant. This is one of the reasons you never want to subject your carpet to too much moisture as it can lead to brown spots or mold growth and permanent damage to carpet. The moisture permeates into carpet fibers and seeps down into the carpet pad. There, it soaks up soil, dirt and bacteria in the pad and then through evaporation it pulls all of the soil to the surface of the carpet. This dirty moisture then creates the brown spot in the middle of the carpet. HOW TO PREVENT BROWN SPOTS ON CARPET? To prevent brown carpet stains, you need to limit your carpet’s exposure to moisture and water as much as possible. The three most common sources for moisture on carpet are leaky roofing, windows or plumbing, severe weather conditions and cheap carpet cleaning services. A leak in your roof or window frame or even your plumbing can cause water to pool up in one place with each new drip from the leak. This moisture will eventually seep into the carpet and begin the process of creating a brown stain. Be diligent in inspecting your roof and windows throughout the year, especially prior to the winter and spring seasons when there is often more rain and precipitation outdoors. Also be sure to inspect the plumbing in your home or hire a local plumber for this. If you identify problem areas or leaks fast, the chance for water damage and brown spots will decrease. Severe weather conditions can sometimes be too much for a home to withstand. When severe weather strikes, it can overcome roofing, windows, basement foundations and sump pumps. If something in your home fails to guard against the extreme weather outdoors, that moisture will come indoors and reach your carpet. 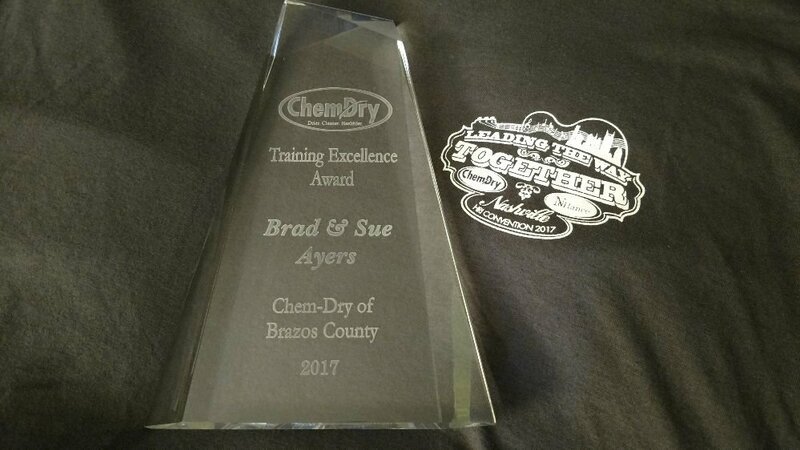 If you experience water damage in your home from severe weather, you can call Chem-Dry of Brazos County ASAP! We are trained in water damage restoration and can handle large and small emergencies immediately! Be careful when it comes to hiring Bryan carpet cleaners or renting machines for carpet cleaning. Cheaper methods of cleaning carpet often rely on extensive amounts of moisture and water in order to rinse out soap and dirt from carpet. Too often, a significant percent of the water is left behind in the carpet and it can then lead to brown spots and resoiling. 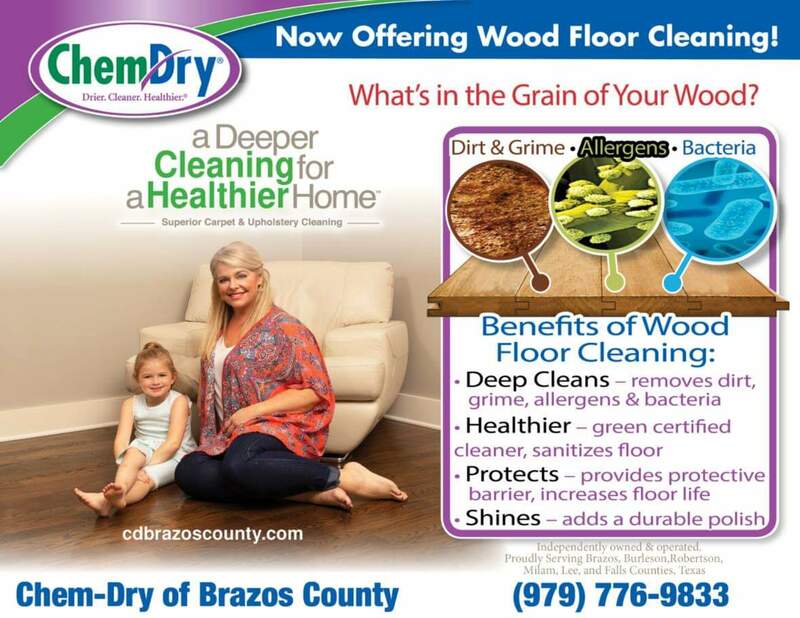 Chem-Dry of Brazos County uses 80% less moisture than steam cleaning and rental machines. We accomplish this by using green-certified solutions instead of soap or detergents in our process. The end result is fast-drying carpet that won’t lead to brown spots appearing!